Energy powder for supporting healthy adrenal function during stress & adrenal fatigue* Adrenal POWER Powder™ is designed to provide a quick, healthy pick-me-up and solid adrenal support for busy people experiencing stress and/or adrenal fatigue. Just add this nutritious powder to any beverage for a powerhouse energiser that delivers comprehensive support to the adrenal glands. Over 3 years in the making, this unique formula combines select ingredients from our 4 best selling adrenal products with added natural fibers and flavors. When you are stressed but too busy to slow down, your adrenal glands can become overworked, leaving you tired and feeling like you are running on empty. If you are experiencing adrenal fatigue you may also undergo periods of low energy at certain times of the day that can interfere with your ability to get things done. Providing quick-acting targeted support to your adrenal glands at these times can help promote balanced energy and sustain healthy function. Adrenal POWER Powder™ is expertly formulated to provide a boost of energy as it delivers a broad range of key ingredients that nourish and support the adrenal and other glands affected by stress. This energising formula can be used alone to help maintain steady energy but is not a substitute for the products in Dr. Wilson’s Program for Adrenal Fatigue & Stress. It works with them to optimally deliver the special support needed by people on the go who are experiencing stress, tiredness and/or adrenal fatigue. 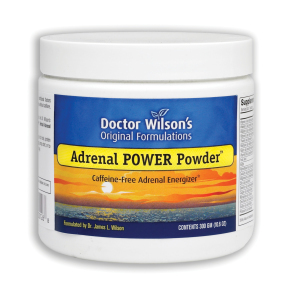 Adrenal POWER Powder™ is a unique formula containing natural flavors and fibers combined with select ingredients from the four core products in Dr. Wilson’s Adrenal Fatigue program. These ingredients include hormone-free, concentrated glandular extracts to provide important natural building blocks for the adrenal and related endocrine glands involved in the stress response; pH balanced vitamin C with bioflavonoids to meet the increased need for vitamin C during stress; specific key nutrients the adrenal glands need for healthy function and energy production; and extracts of organically grown plants that have been shown to optimally support proper function of the organs and glands most depleted by stress. The ingredients are carefully chosen and combined in precise proportions to best facilitate building and maintaining healthy adrenal tissue and function, while also supporting the other endocrine glands affected by stress. Every nutrient in this formula is delivered in its optimal form and proportion to provide steady energy and decrease the effects of stress. Adrenal POWER Powder™ works best when taken regularly. 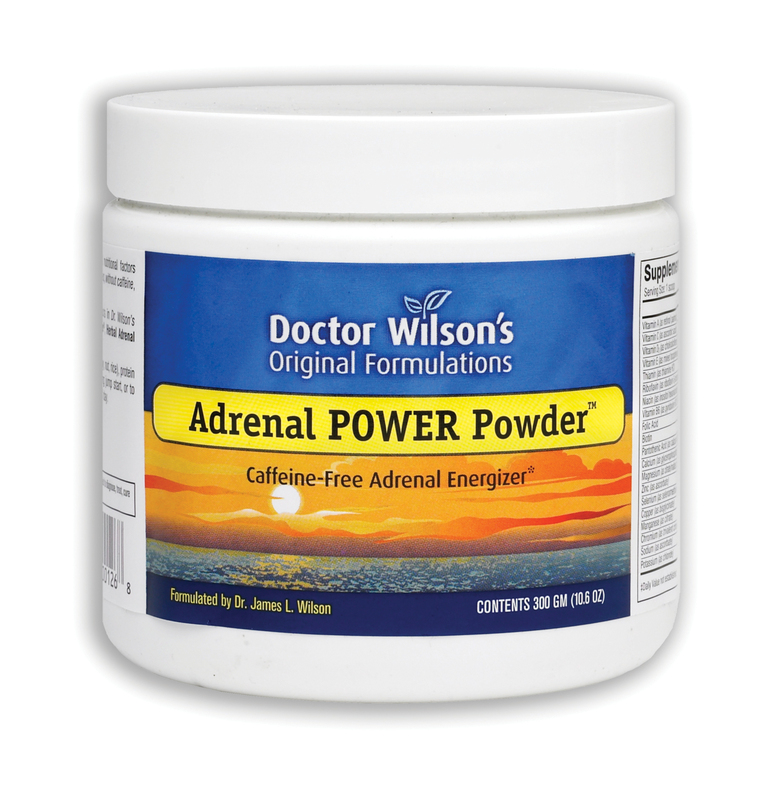 For optimal effectiveness, use Adrenal POWER Powder™ with the companion products Dr. Wilson created as part of his Program for Adrenal Fatigue & Stress: Adrenal Rebuilder™, Super Adrenal Stress Formula™, Adrenal C Formula™, and Herbal Adrenal Support Formula™. 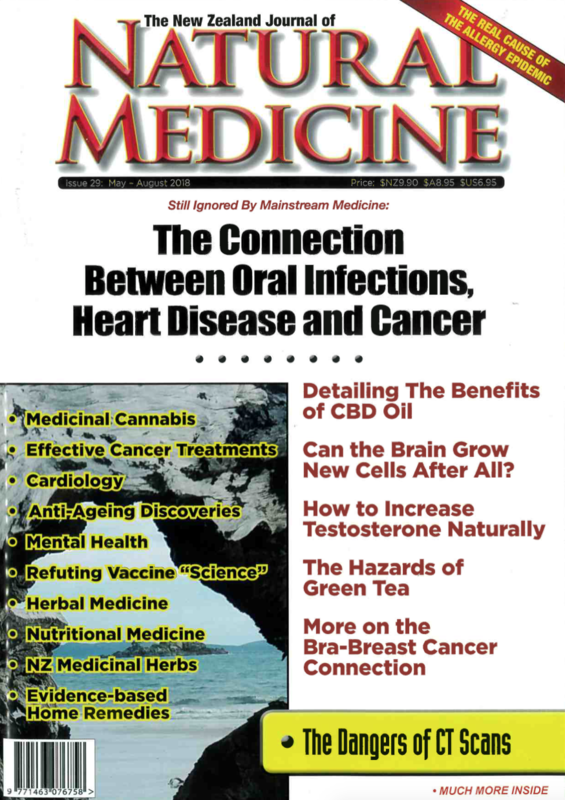 Specific, targeted supplemental support can aid in maintaining healthy adrenal tissue structure and function, and contribute to overall good heath and vitality during times of stress, as well as to the ability to handle additional stress. 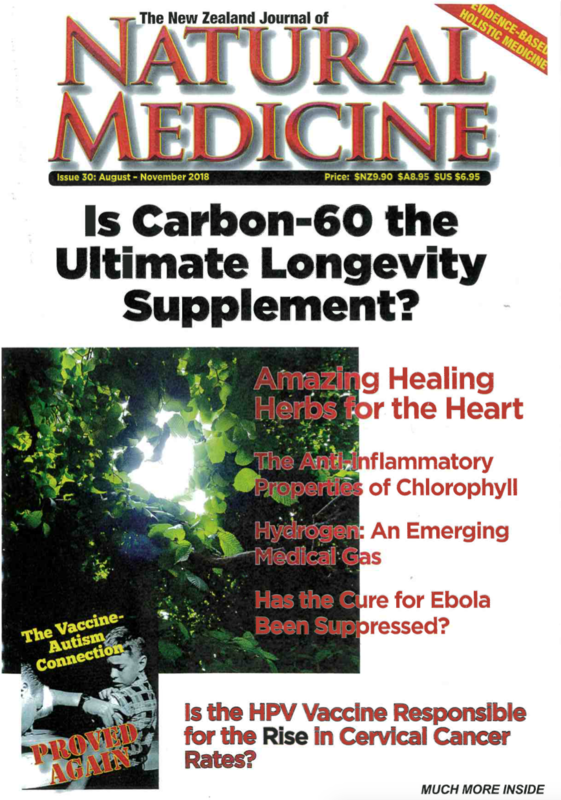 Dr. Wilson designed the products in his Program for Adrenal Fatigue & Stress to work together to provide the specific targeted support that optimally fosters healthy adrenal function and structure. Adrenal POWER Powder™ supplements this program and helps maintain energy and support adrenal health during adrenal fatigue and stress. Ingredients: Vitamin A (as retinol palmitate),Vitamin B1 (as thiamine HCl), Vitamin B2 (as riboflavin-5-phosphate), Vitamin B3 (as inositol hexaniacinate), Vitamin B5 (pantothenic acid as calcium pantothenate), Vitamin B6 (as 20% pyridoxal-5-phosphate & 80% pyridoxine HCl), Biotin, Folic Acid, Pantethine, Vitamin C (as ascorbic acid), Bioflavonoids, Vitamin D3 (as cholecalciferol), PABA (para amino-benzoic acid), Vitamin E (as mixed tocopherols), Calcium (glycerophosphate), Magnesium (citrate, malate, glycinate, ascorbate), Zinc (ascorbate), Manganese (glycerophosphate), Copper (gluconate), Selenium (selenomethionine), Calcium EDTA, Chromium (polynicotinate), Sodium (ascorbate), Potassium (chloride), Choline (bitartrate), Threonine (as L-threonine), DL-Phenylalanine, Tyrosine (as L-tyrosine), Serine (as L-serine), Maca (root), Ashwagandha (root), Licorice (root), Siberian Ginseng (root), Ginger (root), Ginko (leaf), Kelp, Glycine, & Oat Bran. Also Contains: A proprietary blend of porcine adrenal, gonad, hypothalamus & pituitary concentrates processed to be free of hormones but retain the nutritive components that help build strong glandular structure and function. * Other ingredients: Sugar cane juice evaporate, xylitol, toasted carob, maltodextrin, natural tangerine flavor, natural vanilla custard flavor, silicon dioxide, salt, & carrageenan gum. Directions: Adrenal POWER Powder™ contains concentrated nutrients in a powdered form. It tastes best in smoothies, protein shakes, milk (soy, rice, goat or cow if not allergic to these) and flavorful juices such as mango, orange, apple or other fruit juice. Find the ones that work best for you. Mix or blend ½ to 1x 20cc scoop of Adrenal POWER Powder™ with 250ml (1 cup) or more of the beverage of your choice. Take once or twice a day as a morning jump start, or as a healthy snack to recharge mid-morning, mid-afternoon, after a workout, or at any other time of the day. Take regularly and consistently for best results. Side effects: The ingredients in Adrenal POWER Powder™ have no known detrimental side effects when used as directed. Quality and purity: Adrenal POWER Powder™ is made of natural ingredients. It contains NO yeast, corn, wheat, soy, artificial coloring, or preservatives.